According to several sources, including Wikipedia, today is International Coffee Day. It's hard to say how widespread the observance of this day is, but the intention is to bring awareness to fair trade practices and the plight of coffee farmers worldwide. I counted 36 tweets posted so far on September 29 using the hashtag #internationalcoffeeday; however, only three of those tweets mention anything about coffee farmers. One guy wrote that he would celebrate the day by "only...looking at websites that support Java." 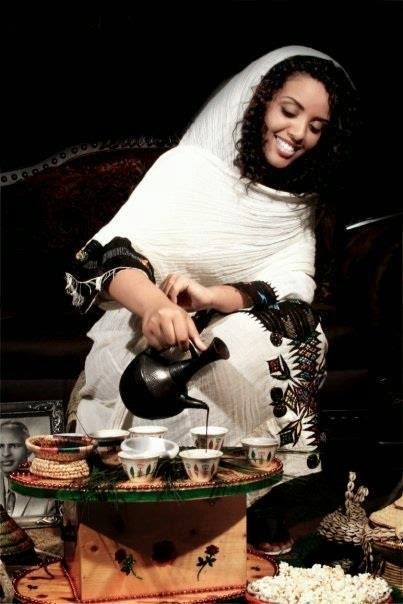 Another person posted this lovely but apolitical image of an Ethiopian coffee ceremony. 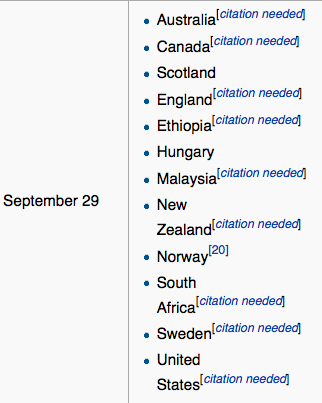 According to Wikipedia again, Ethiopia observes this day along with several other countries. After all, as the birthplace of coffee, why shouldn't Ethiopia celebrate one of its gifts to the world? At least we have evidence that someone in Norway has heard of this day. The story goes that an Ethiopian goat herder in the ninth century noticed the stimulating effects on his goats and began experimenting with the seeds inside the berries. When the seeds (which we call beans) were thrown into a fire, the aroma unleashed an industry that is now worth over $100 billion worldwide, making coffee the second-most sought commodity after crude oil. Cardamom floating in my psychedelic coffee mirror. Coffee was probably not the best liquid to wash down this lunch. And beware the mouthful of cardamom on the last sip. 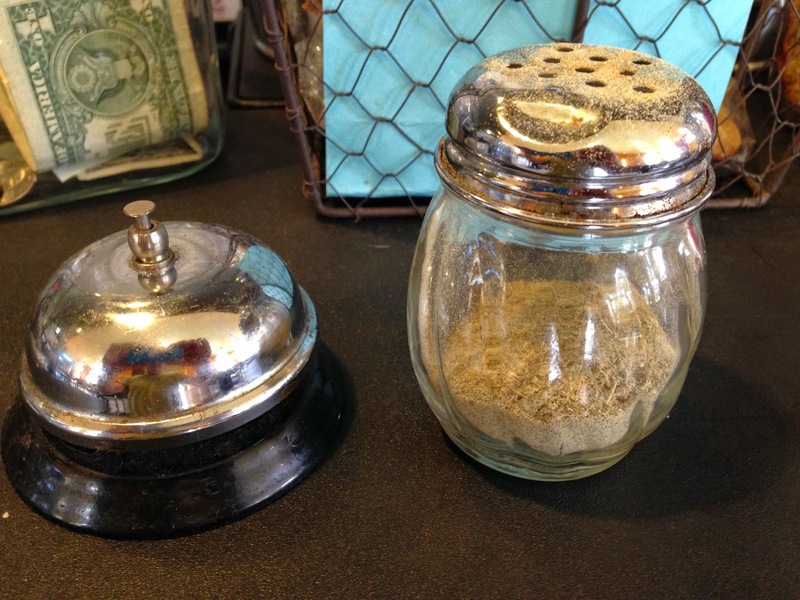 Afterward, I asked Abeba if she takes cardamom with her coffee. "Never," she said. 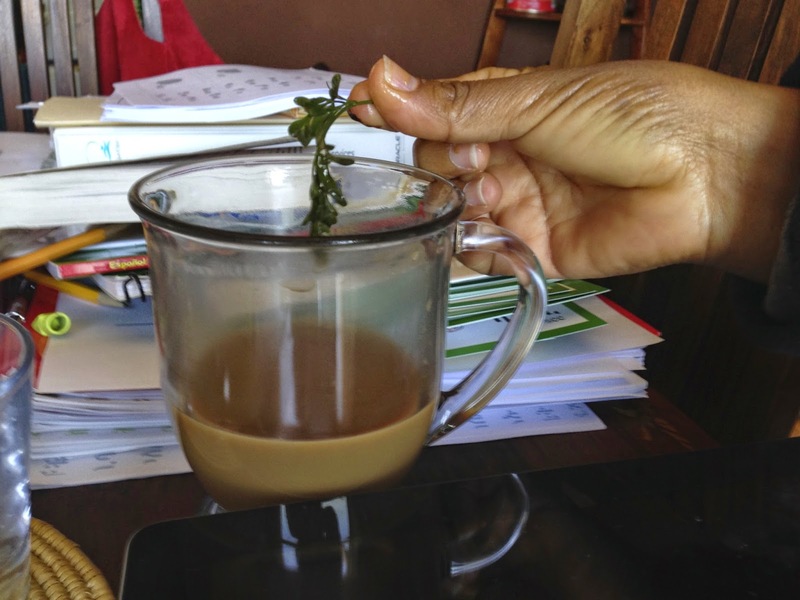 Instead, she flavors her coffee at home with a plant called ጤና አዳም (T'ena Adam, meaning the "health of Adam"). The species is known formally as Ruta graveolens and more commonly in English as rue or herb-of-grace. I confess to having never heard of this plant before Lulit introduced me to it a few months ago. 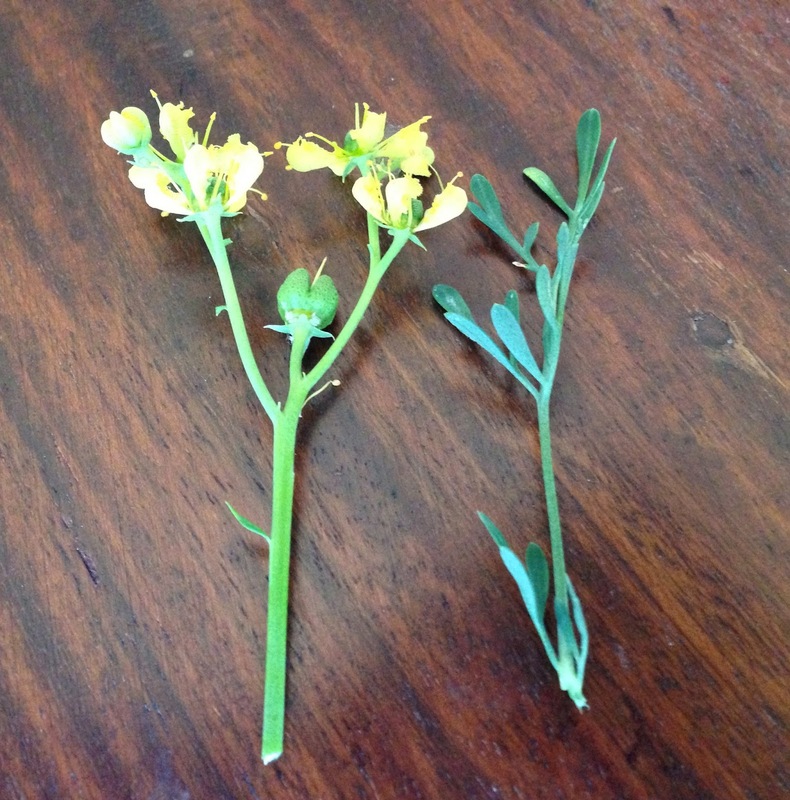 Both Lulit and Abeba grow the plant at home. ጤና አዳም always flavors Lulit's coffee. 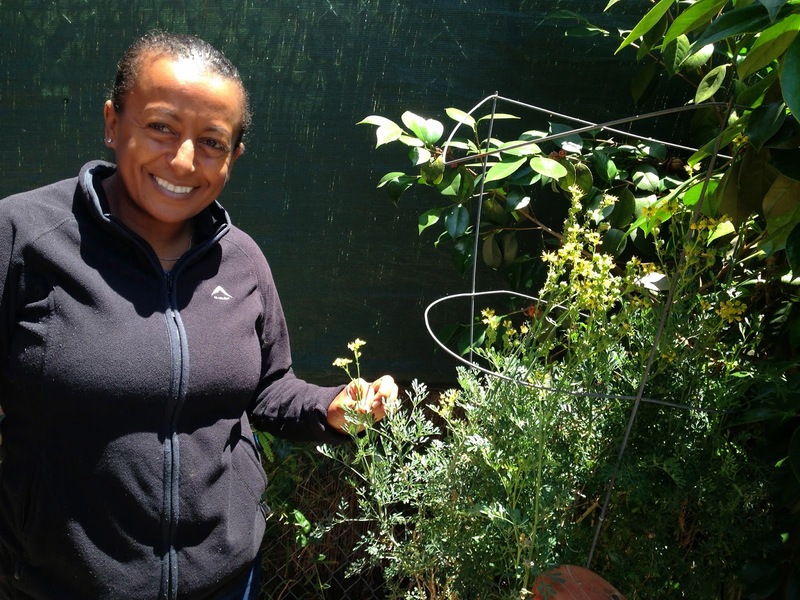 Lulit showing me her ጤና አዳም plant in her backyard. I asked Abeba if I could try some "Health of Adam" in another cup of coffee, but she told me the cafe didn't keep any. "Why not?" I inquired. "Because no one ever asks for it," came her reply, which made me wonder two things: 1) How would anyone know to ask for rue in their coffee? and 2) How would anyone know to request cardamom either? Anyway, I didn't spend long wondering, because Abeba promised to bring some ጤና አዳም from her home and have it ready for my next visit. 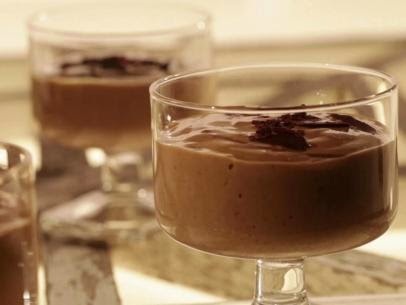 Not wanting my special coffee day to end, I decided to make a coffee pudding for our evening dessert. 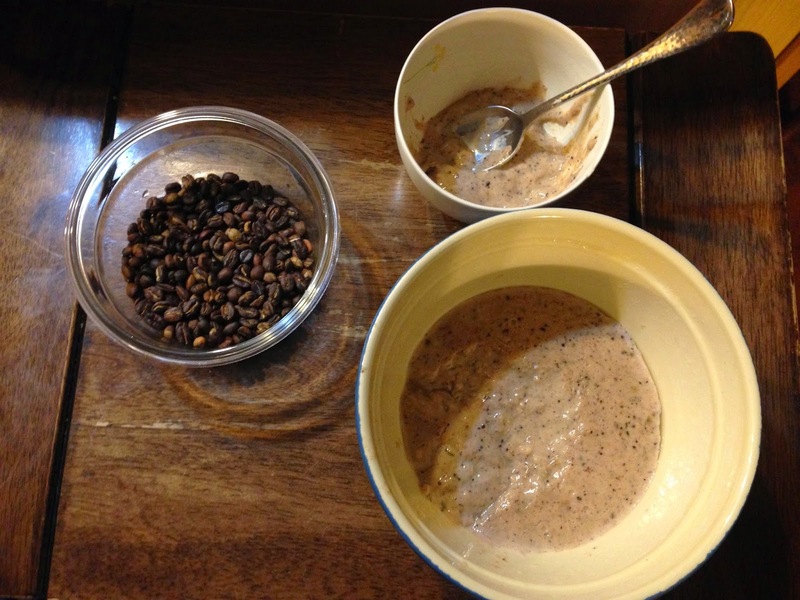 The recipe called for one tablespoon instant espresso powder, but I substituted some coarsely-ground Ethiopian coffee beans that I had roasted myself. The final product didn't look anything like the image posted by the web chef, but I enjoyed that extra connection to Ethiopia, unrefined as it was. 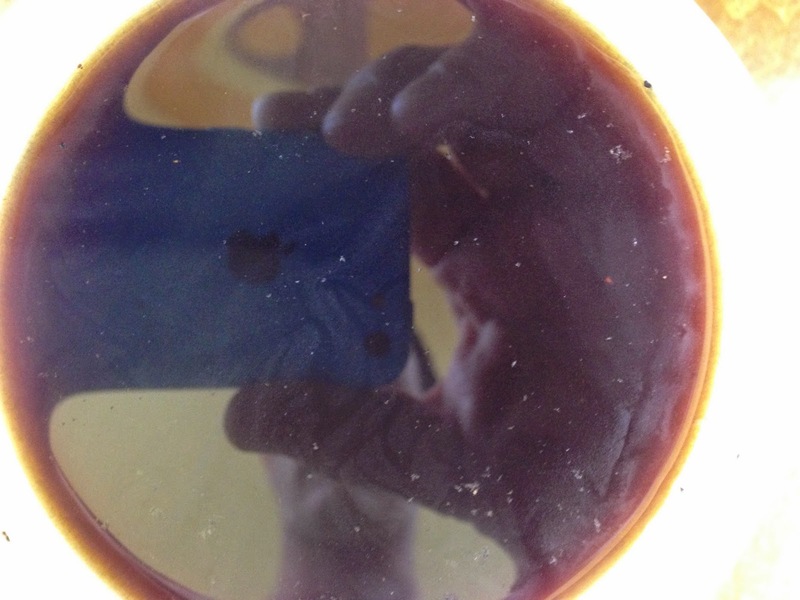 This is a really informative piece on Coffee. I know, when I was young I used to drink coffee for taste, however now I drink it for the caffeine. Great research!